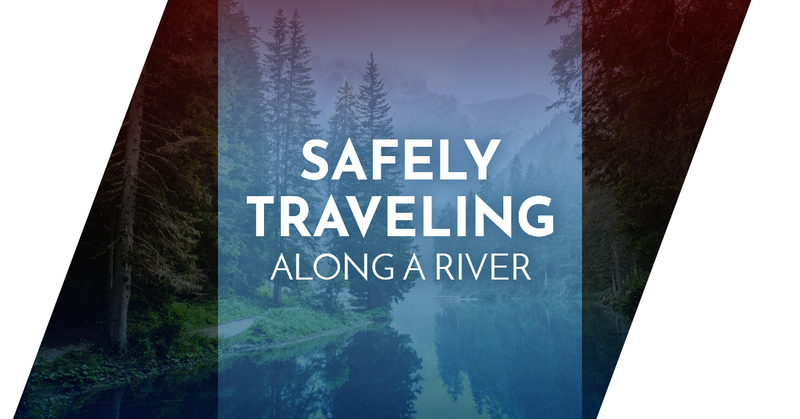 While Killgore Adventures has an impressive safety record, and our jet boats make it easy to travel along Hells Canyon safely, it’s never a bad idea to be familiar with some tips for traveling along a river safely. In today’s blog, we’ll show you some of the best ways to safely enjoy your next river adventure. A quick search in google for something like “Hells Canyon river trip” might yield dozens of rafting or boating companies, all promising you a great time and unforgettable memories. But promises will only get you so far, and in reality, you should spend less time looking at their marketing, and more time inspecting their licenses and insurance. The best river outfitters will have clear liability procedures and will be able to produce a safety record for you when asked. You’ll also want to find an experienced outfitter, one who has been traveling in the area for several years and is familiar with the nuances and peculiarities of that particular section of the river. This one should be obvious but isn’t always. If your river outfitter provides you with gear like a helmet or personal flotation device, it’s important that you keep this gear on until your outfitter tells you it is safe to take it off. Similarly, make sure the gear is always properly fitted and on. Don’t leave the chin straps of your helmet dangling, or the clips on your life vest unbuckled. Should you go overboard, the gear won’t be able to offer its full level of protection if it is half-off or undone. If you’re taking a whitewater trip, expect to get wet. Depending on the time of year, the water may be colder or warmer than you expected. For colder temperatures, you might consider a wetsuit, splash jacket, and river shoes as they help to cut the chill. Many outfitters can rent these pieces for a small fee, or even include it with your base price. Conversely, if the water is warm, and it’s a sunny day, dress appropriately. You’ll want to wear clothes that dry quickly but cover your arms and legs to protect them from the sun. Don’t forget to put on sunscreen and sunglasses. As much as your boat, your paddle is your clearest connection to the river itself. Holding it, and using it properly ensures that you can move quickly and accurately through the water. At the top of the paddle, you’ll find a “T” shaped grip. One hand should always be holding onto the T grip, while the other holds somewhere on the paddle’s shaft. If you were to let go of the T grip, you might hit a fellow paddler. We all love a nice dip in the water every now and then, but we can assure you that you’ll enjoy your whitewater river trip much more if you stay in the boat. Don’t try and jump out and into the river. Should you be ejected from the boat while going through some rapids, or after hitting a rock, don’t panic. You’ll likely just pop right out next to the boat. Simply grab onto one of the ropes on the side of the boat, and your group will help you back in. If need be, swim aggressively toward the boat. Should you find yourself far away from the boat, swim aggressively toward the nearest embankment. As you travel, your outfitter or river guide will give you commands. It’s important that you listen carefully to their instructions and do exactly as they say. Not only will your experience be more enjoyable, but your teamwork will keep you and your fellow paddlers safer. Ready to explore the rapids of Hells Canyon? Killgore Adventures offers a variety of ways to do just that! Whitewater rafting tours get you up close and personal with some of the toughest rapids in the canyon. For those looking for a leisurely tour, look into one of our jet boat tours. And for the serious anglers, a riverboat fishing adventure is perfect. Book your tour today!